We recently asked S-coolers who had aced their GCSE or A-level results what advice they had for other students to help them achieve the same success. Here is another selection of tips from our top students. The best tip I could give would be to start really early and keep it going at a slow pace initially. 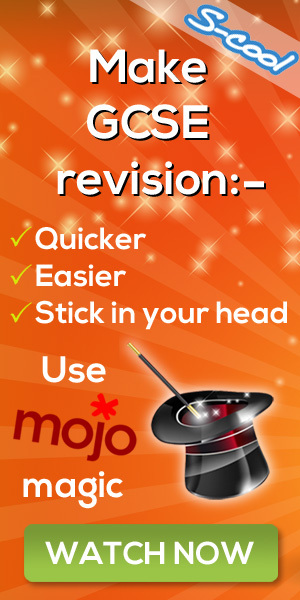 Then increase your intensity of revision at about end of March/beginning of April. Worked for me and I got 8A*s.
Practising past papers is really good for revision. It allows you to judge what you've learnt well and what you haven't learnt so well. It also enables you to be familiar with the exam 'environment' so you aren't nervous or scared when it comes to the real thing. Ask your teachers to mark it and give you feedback for maximum benefit. Remember, only do a test once you've learnt everything - revision is going over what you've learnt so if you haven't learnt something don't test yourself on it! 1) Always start with a timetable or checklist before revising because it really helps when you plan your time. 4) Revise in short sections from around 30 to 45 minutes and then take short 5 minute breaks in between. 7) You need to know what type of learner you are: visual, auditary or kinsthetic, which you can find out by doing an online test. 8) Just 30 minutes of each subject in the evening helped me get good grades. You should really try this because it helps. 10) You can get relaxing exam music from Youtube to play in the background. Otherwise work away from any noise or distractions. Plan your revision and follow the plan relentlessly! If you say you're going to revise at a certain time... do! The "I'll do it later" attitude is a reason many people don't end up getting the revision they want done. Take regular breaks. After every 30 minutes or so take a 5 - 10 minute break. Then go back and look over your work and carry on. Only listen to classical music. Personally I found that listening to songs with lyrics distracted me but that listening to piano was actually rather reassuring while revising. Did you Ace your exams? We’d like to hear how you did it.. Click here to submit your tips and get your name in the hat to WIN Amazon vouchers!